Yossi co-founded Africa’s largest crypto investment-fund, Onchain. Yossi Hasson is a blockchain investor and the MD of Techstars first blockchain accelerator in New York City. He is also the co-founder of Africa’s largest crypto investment fund, Onchain Capital. He is a passionate entrepreneur and investor with over 17-years of experience starting, scaling, investing in and exiting technology-based businesses. In 2004, Yossi Co-Founded SYNAQ, an open source cloud company. At the time, both open source and cloud were new technologies that businesses were yet to embrace. Over an 11 year period, Yossi lead and scaled SYNAQ to over 1 million users before a multi-million dollar exit in 2015. 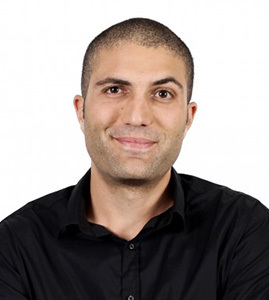 Based on his passion for technology, in 2015, Yossi co-founded WeThinkCode_ to help deliver on Africa’s digital talent potential and currently sits on the WeThinkCode_ board. WeThinkCode_ is a 2-year, completely free, coding college open and available to anybody who shows the aptitude, ability and desire to become a world-class computer programmer. In 2016 Yossi joined Techstars as the MD of the Barclays Accelerator focusing on finding and funding Africa’s FinTech disruptors. Yossi holds an MBA, lectures on Entrepreneurship, is a member of Endeavor and Entrepreneurs Organisation.